Compassion goes a long way when communicating with a loved one living with memory loss. People with dementia can experience a range of symptoms including confusion, anxiety, and irritability. Some people also experience changes in their personality or behavior. As caretakers, we may find these challenges difficult to navigate. But by learning respectful and compassionate communication skills, we can do our part to put our loved ones at ease. Do your best to set a positive tone when you visit your loved one. Speak in pleasant tones, use positive facial expressions, and convey yourself through physical touch. In addition, pay attention to the environment. For example, if you’re in a loud or crowded room and your loved one becomes agitated, ask if they’d like to talk someplace quieter. If your loved one experiences memory loss, minimize their confusion by keeping the conversation simple. Speak clearly and slowly. Ask one question at a time. If your loved one doesn’t hear you, repeat your statement in a calm tone. If they don’t understand what you’re trying to communicate, try rephrasing or reframing your statement. When you visit your loved one, bring your whole self to the interaction. Put away your phone and other distractions and focus on spending time together. You can minimize environmental distractions as well, such as radios and televisions. It can also be helpful to close doors and windows to ensure you and your loved one can both focus. The experience of losing your memory can feel scary. If your loved one can’t remember a particular word or substitutes a different word, avoid correcting them. A correction can feel like an admonishment and heighten their fear and anxiety. Instead, remember to stick to pleasant tones and offer your loved one reassurance. If the situation persists, try redirecting the conversation toward a more comfortable topic. Monitor your nonverbal cues while you spend time with your loved one. Use your body language and facial expressions to convey a sense of calm. Pay attention to your loved one’s nonverbal cues as well. Nonverbal cues can indicate whether your loved one is in good spirits or experiencing irritation, pain, or discomfort. 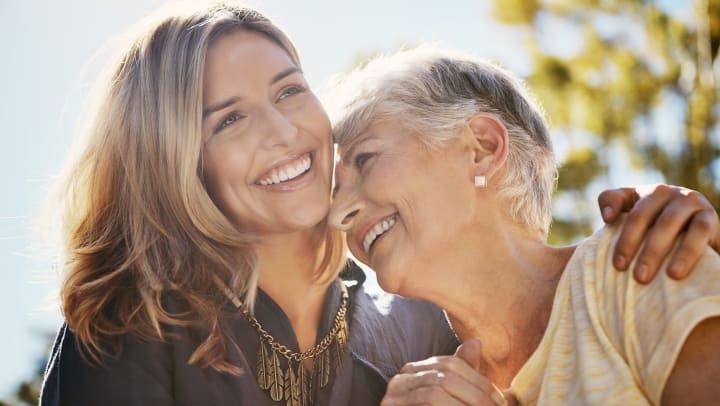 If your loved one struggles to communicate verbally, their nonverbal cues such as body language and tone can help you better understand their needs. Would you like to learn more about dementia? Visit our website or contact our team and let us show you the Artis way.